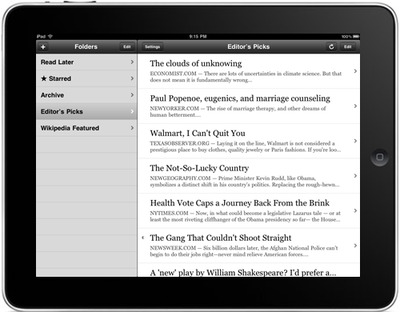 Popular iPhone app Instapaper is going to be available on the iPad, “possibly even on day one,” says developer Marco Arment. 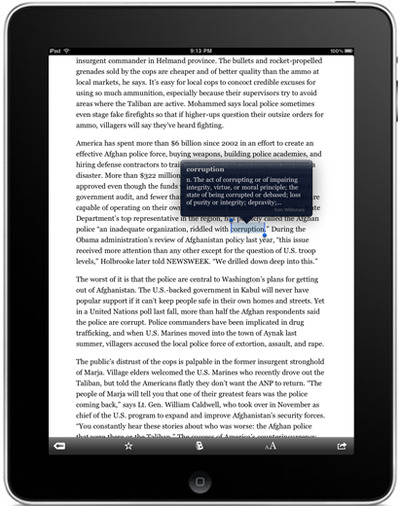 Instapaper allows users to take the text of a story on the web and save it for reading later. We think it’s a killer application. It’s especially useful for travelling on the subway to and from work. We catch up on all the best big magazine stories with Instapaper. Marco says he’s updating the interface a little bit for the iPad version. (Click here to see what it will look like.) 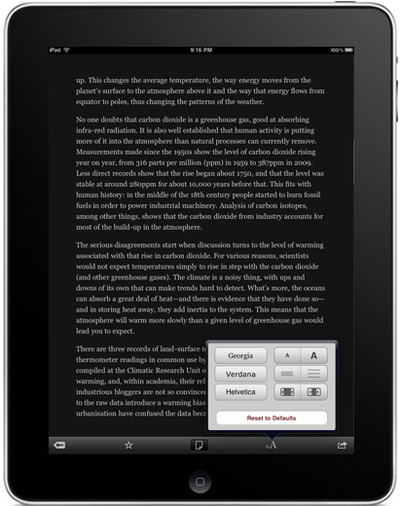 He’s also going make Instapaper Pro work the same on the iPhone and iPad, so there’s not two versions of the app. Developers have been put in a difficult position: if we submit our applications for review and sale before we’ve ever used an iPad, we can be in the App Store on (or near) day one. But we won’t have had a chance to test our applications on a real iPad — we’ll just need to rely on Apple’s reviewers to tell us whether they work. This is risky, since we don’t even know some critical details about the iPad yet, like how much RAM it has or how quickly it will execute our animations and number-crunching. Release the app for day one, but it might be buggy or non-ideal in a few areas. Release the app after we’ve had a chance to test extensively on a real iPad, but it may not be available for many weeks after the iPad’s launch, during which time our current and new customers will be clamoring for a native version, and they’ll be stuck using the pixel-doubled version. The second option seemed more sensible at first. That was my plan at the beginning. But then I saw the pixel-doubled version of my app in the simulator. It sucked, and it was completely unusable by my standards. I don’t think I’ll want to run any pixel-doubled apps on my iPad in practice. And I’m buying it on day one. So I’m doing my best to make the day-one submission deadline. 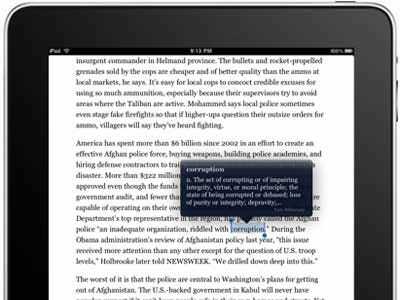 Even if the first version ships with a few edge-case bugs, I’d rather have that on my iPad for a couple of weeks than no Instapaper at all, and many customers have told me that they feel the same way. This is a risky decision, but I feel that this is the right thing to do for me and my customers, so I’m going for it. If any bugs do crop up in the first version, I appreciate your patience and trust that I’ll fix them quickly. Thank you.